Asphalt shingles are among the most popular roofing systems in America. They are a weathertight, cost-effective, plausible and a simple roofing solution. 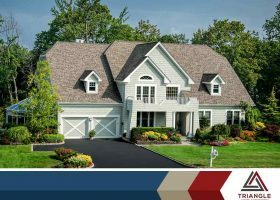 Triangle Home Exteriors shares three great reasons why they are an excellent roof replacement option.